This site accompanies the Court of Protection Handbook, the first book to address in detail the practice and processes of the Court of Protection – across the whole range of its work – in terms that are aimed not solely at lawyers but also to the increasing numbers of people who either by choice or otherwise are involved in proceedings before the Court of Protection without legal help. To read a sample chapter from the book (on whether an application is appropriate), click here. The book provides an overview of the Mental Capacity Act 2005 and the Court of Protection, before turning to a step-by-step guide through the processes of preparing and making an application, funding and representation issues, preparing for and appearing at hearings, evidence, costs, enforcement and appeals. On this site, you will find links to relevant statutory materials and other guidance that space precluded us from including in the appendices, precedent orders covering most of the most common situations that arise before the Court, useful (free) web resources, and updates on practice and procedure before the Court of Protection. These updates take the form of posts on the site’s blog, and also (where relevant) updates cross-referenced to the relevant paragraphs in the book. The site is maintained by two of the book’s authors, Alex Ruck Keene and Sophy Miles. We hope that you find this site both a useful accompaniment to the Handbook and a useful resource its own right, and welcome feedback to alex.ruckkeene@39essex.com. 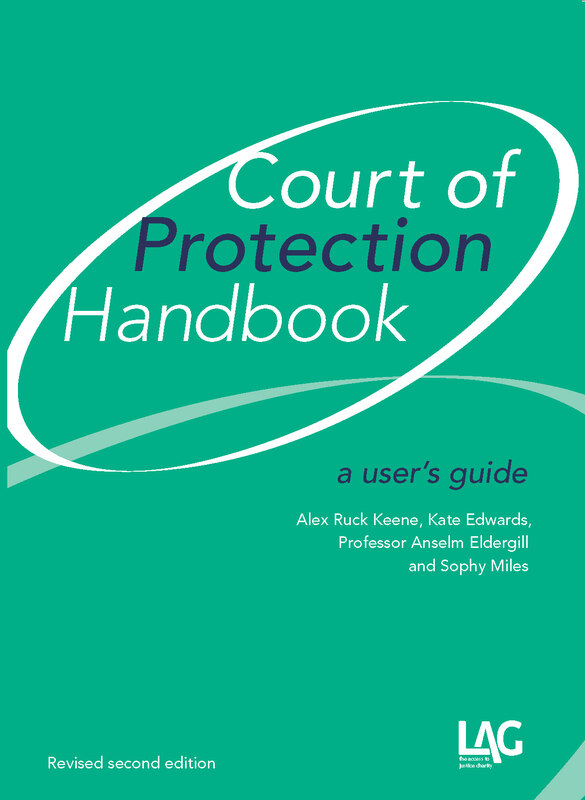 Court of Protection Handbook: a user’s guide is essential reading for lawyers, advisers, litigants in person and all users of the Court of Protection. Also available as an ebook. Read information on LAG ebooks here.